INA-GRM celebrates their INASOUND FESTIVAL with a Half price promo! Don't Crack Offers FREE P&M Plugin - Everything Recording on Get a FREE P&M Plug-in ! AKAI release MPC 2.2.1 Update | DontCrac[k] News on AKAI MPC 2.2, the legendary software is finally “available to all” from ONLY $99! Kuassa is a company we have been looking at for a while. They have earned a reputation for making Guitar Amp and Stomp Box Emulations that guitarists everywhere are raving about. Their mixing – mastering effect plug-ins software modeled on Pultec and Neve design are amongst the best on the market. Here’s a good time to try them out! 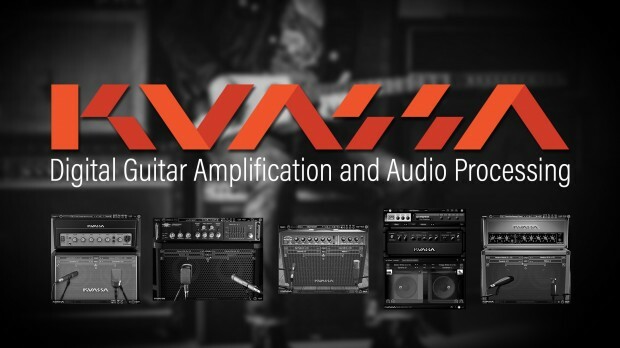 Kuassa is a software development company specializing in digital guitar amplification and audio processing. They’re deeply passionate about music, and their goal is to provide great tools to aid the musician’s creative process. As musicians themselves, they believe that raw tonal quality is the important quality of their plug-ins. There is nothing in the lay-out of their products to distract you from your primary objective of creating great music. Kuassa say “WE CREATE THE BEST SOUNDING AMPS, MIXING, AND MASTERING PLUGIN SOFTWARE” it’s worth taking the time to check them out. This entry was posted in DontCrack, Plug-ins, Promotions and tagged AMPLIFIKATION CALIBURN, AMPLIFIKATION CREME, Amplifikation One, AMPLIFIKATION VERMILION, CERBERUS BASS AMP, EFEKTOR CH3604 CHORUS, EFEKTOR CP3603 COMPRESSOR, EFEKTOR FL3606 FLANGER, EFEKTOR PH3605 PHASER, EFEKTOR WF3607 WAH FILTER, EVE-AT1 EQUALIZER, EVE-AT4 EQUALIZER, EVE-MP5 50S EQUALIZER, Kuassa. Bookmark the permalink.